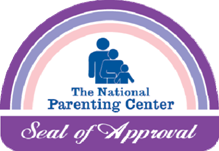 Ezee Glider Wins 2014 The National Parenting Center Seal of Approval! Blue Go Glider with Air Tires WINS Gold Award at Family Review Center! Glide Bikes, Inc has earned a Gold Award for their amazing Blue Go Glider with Air Tires. PRLog (Press Release) - Jan. 29, 2013 - Phoenix, AZ - Family Review Center was proud to announce today that the coveted Gold Award has been awarded to Glide Bikes, Inc for their Blue Go Glider with Air Tires. These balance bikes are designed for safe, learning fun. The seat can lower to 16" and the handle bars adjust to accommodate a wide range of kids. Glide Bikes learning bikes also incorporates a unique patented foot peg system to allow kids to have a place to rest their feet while gliding. These pegs can be locked into place with one simple to use, tool-free pin allowing the foot pegs to be installed or removed in seconds. This is a great in between step for children, as they learn to balance to move on to a full size bicycle and ride with ease instead of training wheels. This gives them the ability to learn their balance for riding in a safe and effective way. Family Review Center has offered free, professional reviews to family friendly products since 2000. Thirteen years of bringing you the best of the best. Stop by and check out this review / award and the others offered at the review center any time. www.familyreviewcenter.com 24/7 to serve you! Congratulations once again to Glide Bikes, Inc We think you are pretty awesome!